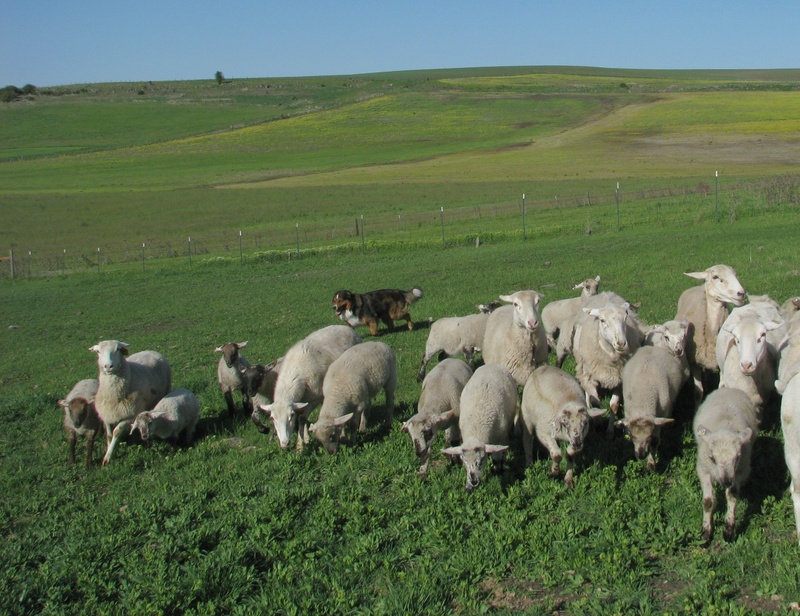 ORCHARD HILL ENGLISH SHEPHERDS is located in North Central Idaho. Craig's great-grandparents homesteaded this farm/ranch in 1901. We had a herd of Murray Grey/Angus cattle that varied in size from 90 to 10. We also raise wheat, barley, oats, canola, and hay. Our personal start in farming began on a four-acre corner of the ranch, on a hill in the old family orchard, and that small beginning is the source of our farm name. For a good description of English shepherd character, see the English Shepherd Club website page on character, or this page. Our first dog, Mace, came to help us work our cattle. We liked the breed so well that we currently have five English shepherds: Shepherd's Way Mace, Orchard Hill Ember, Ember's daughter Orchard Hill Steel Magnolia, Ember's son Orchard Hill Loki, and Mace's granddaughter, Orchard Hill's Fae. As of the fall of 2014, we no longer have livestock, being retired or semi-retired from farming. I may get a flock of sheep for the summer, just to train the dogs. 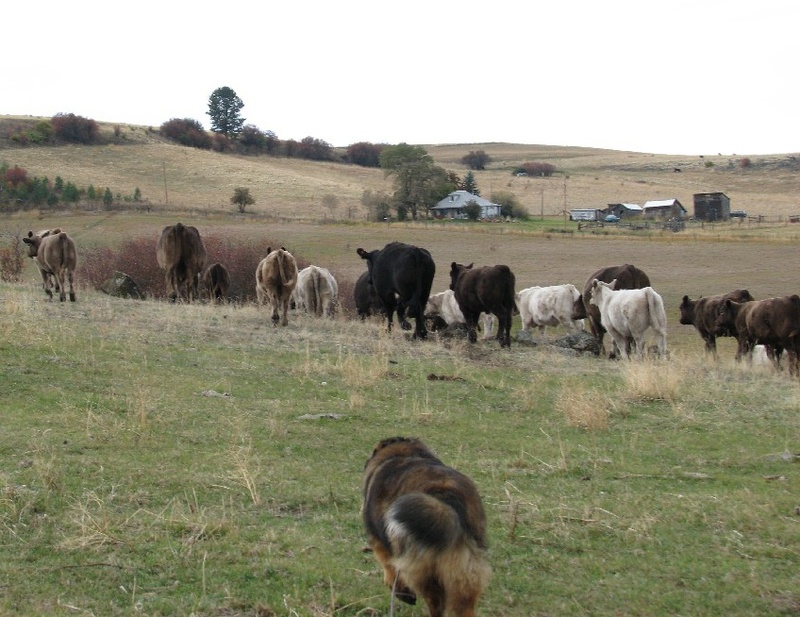 I miss stock work too, and I would love to do some American Herding Breed Association trials, like I have done with Mace in the past. March, 2019: Orchard Hill Mickey, from my 2017 Mags x Howie litter, has sired a litter of 9 pups. Both Mickey and Lacey live on a small farm and help move and protect sheep and poultry. For more information, see their page.